Pupil Premium is additional funding provided by the Department for Education to close the attainment gap between pupils from low income families and their peers. It is allocated to schools with pupils on roll who are known to have been eligible for Free School Meals (FSM) at any time in the last six years, are Children Looked After (in the care of the Local Authority) or who have a parent serving in the Armed Services. We organise teaching and learning at Springwell Learning Community in order to meet the needs of all children in the best way. the school has identified as being socially disadvantaged and should be making better progress. At Springwell Learning Community we are striving to ensure that all pupils are given every opportunity to succeed and achieve their full potential. The catch-up premium is spent in an integrated and targeted way, to ensure that pupils receive the opportunity for additional support and access to all learning opportunities which will enhance their literacy and numeracy. For the last academic year (2017/18) the allocation of funds to Springwell Learning Community was £1,448. 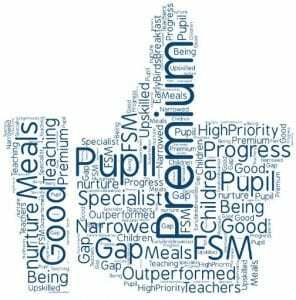 We assess the individual needs of each of the pupils who attract the year 7 catch-up premium and decide the best way to use the funding. The purchase of texts and resources, including apps for small, specifically focused classes in English and Mathematics. The purchase of online subscriptions to improve engagement and raise attainment in numeracy and literacy. Lexia license purchased for pupils with dyslexia. Further training for wider, dispersed support staff in reading and maths interventions. The impact of the interventions are tracked through progress captures throughout the year. Further intervention will be put in place following rigorous analysis of this data.